This is for all you lovely lads taking part in the glorious tradition of Movember this year. At Japan Centre, we want to see if you’ve got the spirit of the samurai in you! 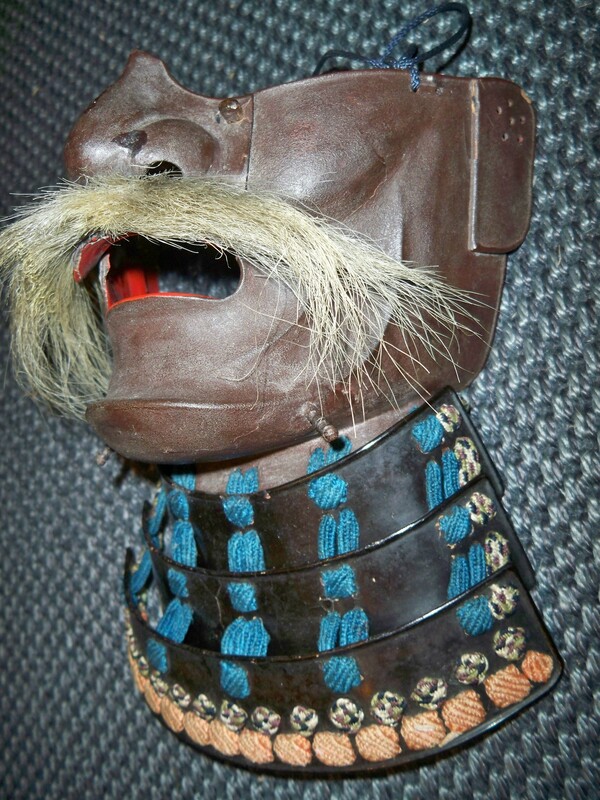 Visit our Twitter site, tweet @JapanCentre your best samurai Mo and accompanying warrior face. 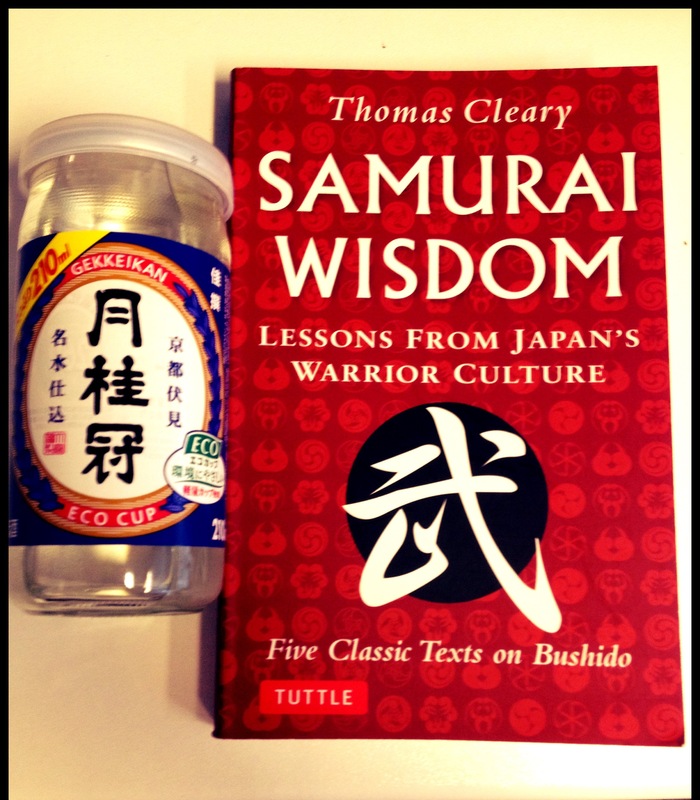 The winner will receive Thomas Cleary’s ‘Samurai Wisdom,’ the essential book of samurai lessons and warrior culture, as well as a rewarding cup of Gekkeikan sake. Don’t forget to #samuraimo. Need Mo inspiration? Read on. An ingenious portmanteau (a word that doesn’t get used enough in our opinion) between moustache and November, Movember originated with a group of gents in Australia growing their Mo’s to increase awareness for a variety of issues. Most prominently, the Movember Foundation has worked to raise awareness and money for issues such as prostate cancer, testicular cancer and depression in men. Participants must be clean shaven at the beginning of November, grow as magnificent a Mo they can muster up and use this new furry friend to promote the Movember cause. For the Movember rules and lo down, check out their website here. These days, facial fur has unfortunately fallen foul in Japan. It’s rare, though certainly not unheard of, to see a magnificent Mo when walking through the streets of Tokyo. There once was a time however, when noble men, fierce men, powerful men, men who feared nothing, who stood tall and laughed at death, roamed the land we now know as Japan. Who were these men? The samurai of course. Oda Nobunaga: A formidable warlord during the warring states period, this daimyo conquered nearly a third of Japan. We think the source of his almighty power lies in that thick ‘tasche of his. Reckon you can grow a Mo like Oda? 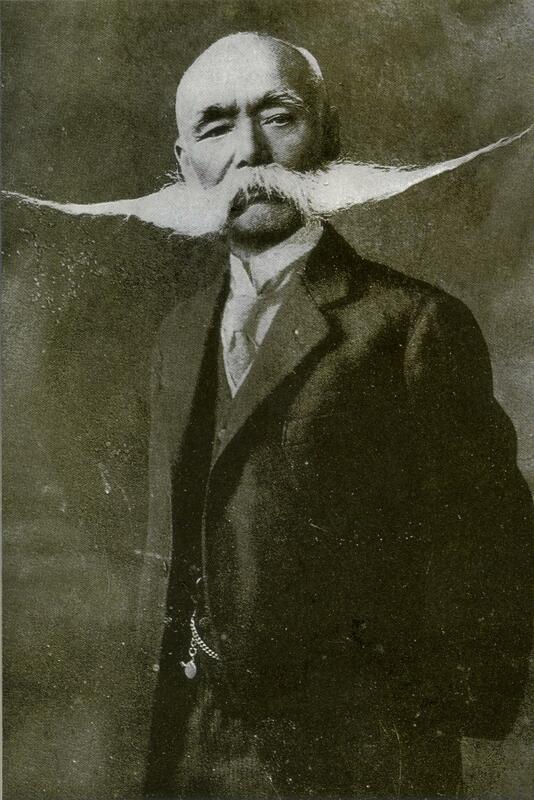 Famous samurai and one of the founders of the Imperial Japanese Navy, the aptly named EnoMOto Takeaki rocks one of the coolest Mo’s we’ve ever seen. Bonus points for connecting the Mo to the ‘burns. 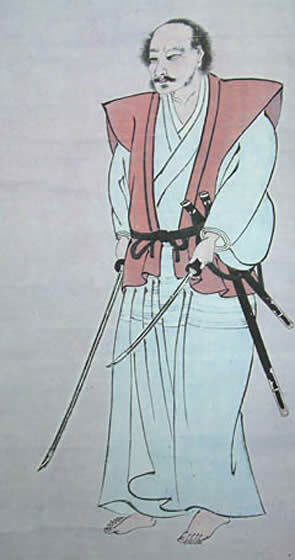 MiyaMOto Musashi was an expert swordsman and author of many celebrated samurai works. This self portrait from 1560 shows him as a fella whose proud of his magnificent Mo. These lads, the ‘Seven Samurai.’ One of the MOst important Japanese films of all time, this epic movie tells the tale of seven samurai defending a village from marauding bandits. At least three of them do it with the help of marvellous Mo’s, including legendary actor Toshirô Mifune. Got six mates with killer Mo’s? Consider a group shot for the competition! 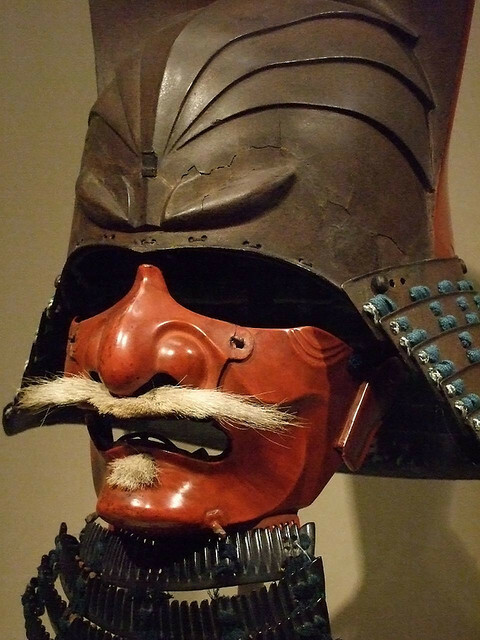 It was not only on their faces that samurai men sported fearsome moustaches. 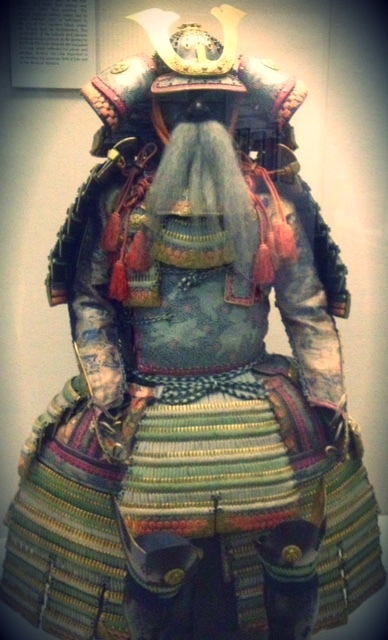 Their elaborate armour was also decorated with faux facial hair, usually made from hemp or horsehair. The protective mask covering their faces were known as menpo, and designed not only to protect the wearer- but to strike fear into the heart of an opponent. Some of these menpo’s have truly astounding Mo’s. Lets check some of them out. We had to mention this utter legend. 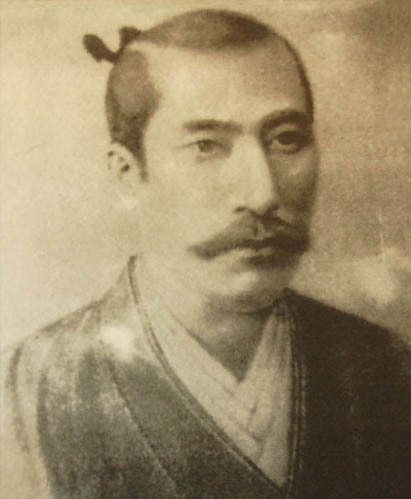 Whilst not a samurai, Gaishi Nagaoka grew his moustache to a whopping 70 cm from its base into outer space. A military officer, Nagaoka’s almighty Mo was known as the “propeller moustache.” Surely this is the Mo which all other Mo’s should worship. We know that not everyone is blessed with the ability to grow a Mo. ‘It’s too wispy,’ ‘it looks really creepy,’ ‘I simply don’t have the hair follicles’ are just some of the excuses we’ve heard. Never fear men! Like the samurai of old who struggled with manifesting a dreamy moustache, there are ways around this challenge. The fake hige! This chaps dashing facial hair is fake as faux fox fur. While you might not be able to get your hands on such a professional kit, we’ll allow any attempts at Mo growing to enter our competition, including faking it. So get imaginative, some kind of mouth toupee? A comb over tasche? An all out tattoo? Or the more traditional methods such as horse hair? As long as you channel the spirit of the samurai, you’re in with a shot of winning. 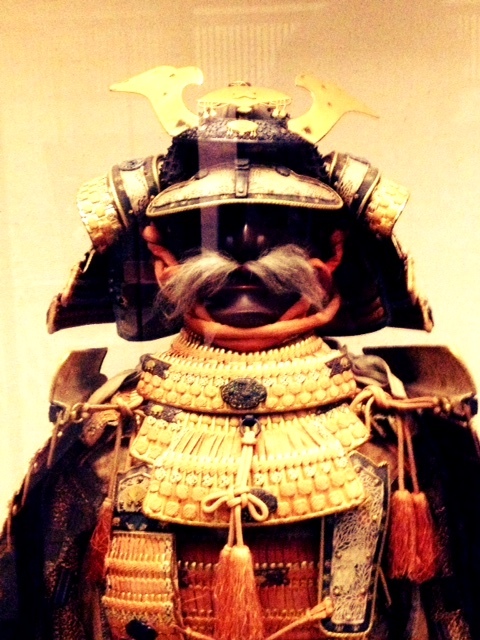 Remember, tweet @JapanCentre using #samuraimo with your best samurai Mo face. You can use the fierce warrior cry as seen on the menpo, or the diginified, solemn expression worn by our samurai heroes like Oda Nobunaga. The deadline for this competition is the 30th of November. Get growing guys! You’ll be needing some serious sustenance if you want to grow a Mo worthy of champions. Luckily, at Japan Centre, we’ve got all the snacks, sweets and sake you need for the challenge. We’ve heard it on good authority that seaweed, kelp and green tea all stimulate hair growth, so you can muster up the most wonderful Mo in the land. Thanks to J L T at flickr for the Seven Samurai image. Thanks to Mary Harrsch at flickr for the menpo image. Thanks to casingpaper at flickr for the fake beard image. Posted in Uncategorized and tagged japan, japanese, Sake. Bookmark the permalink.